Our first ever Sine Die Adventure was to Chicago in 2012. 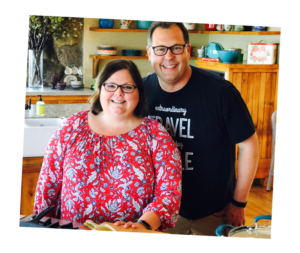 Our daughter, Meghan, and I planned the trip for Ann and she had no idea where we were going until moments before we boarded our plane. Ann had traveled about 45,000 miles (literally) by car for her job that year and we knew she had no interest going very far. She just wanted to get there, so a 55-minute flight to one of her favorite U.S. cities was ideal. Meg and I had fun on the way to the airport, and at the airport not telling Ann where we were going. In fact, we sat in the restaurant/bar area of Omaha’s Eppley Airfield (as the terminal isn’t that big), and waited until our flight was called before revealing our destination. Let me just pause a moment here to let you know that Meghan and I, purely by accident, picked the perfect time to go to Chicago: during the NATO summit. Sure, we faced some inconveniences that changed our schedule (like the Art and Natural History Museum and the aquarium being closed, or snowplows parked on streets blocking any car from ever hoping to pass by) but found a city open in a way not possible to imagine until you come to grips with the fact that the leader of every NATO nation (from President Obama to the president of the Czech Republic) was in town. We didn’t realize that the summit was even going on until we got a text from United Airlines warning us that rail transportation into the city center would be closed down. 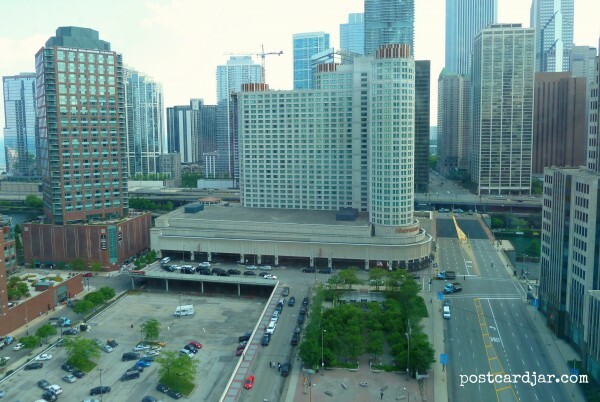 Residents of Chicago were told for weeks in advance to not come downtown. Entire office buildings were closed for a 5-day weekend. And here we came, rolling into town, finding a lack of people and lines that no Disney Fast Pass could ever hope to imitate. All for free! Imagine, if you will, Michigan Avenue. Normally teeming with people and traffic — we counted at most six cars as far as the eye could see. And the shopping? Amazing. We had the stores and check outs to ourselves. Just look at the photos! Empty streets and a great view of the hotel where the President of the United States was staying. Photo by Ann Teget. 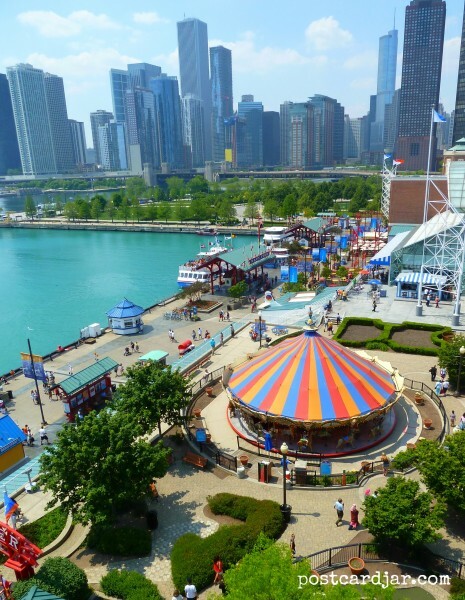 We zipped down to the Navy Pier, rode the ferris wheel with nary a wait, ate at restaurants of our choosing at times of our choosing and all without worrying about any reservations or lines. The view of the Navy Pier from top of the ferris wheel there. 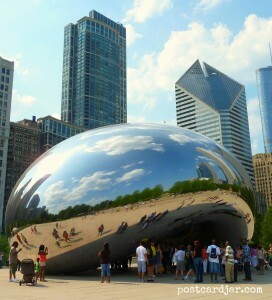 We strolled over to Millennium Park. I’d been before but didn’t realize how beautiful it was because I’d always been dodging so many people on previous trips. That day, however, there were so few people that we could actually take in the park’s beauty. Next, we hopped on an architectural cruise on the Chicago River. Boats normally overflowing with people now felt spacious. 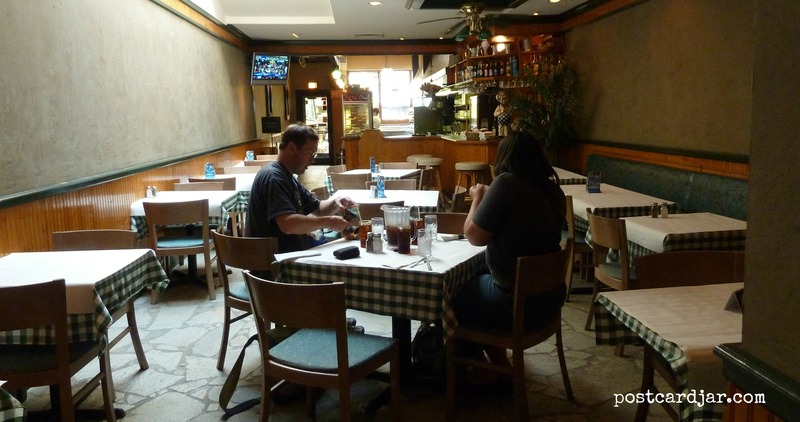 We could hear easily, and, perhaps more importantly, could easily get to the bar. Later, we decided to go to the top of the Hancock Tower. I braced myself for the usual long lines and hour-plus wait. Instead, we walked up to the cash register, bought three tickets, had our picture taken and then went straight to the elevators. We were the only three in the car all the way to the top. 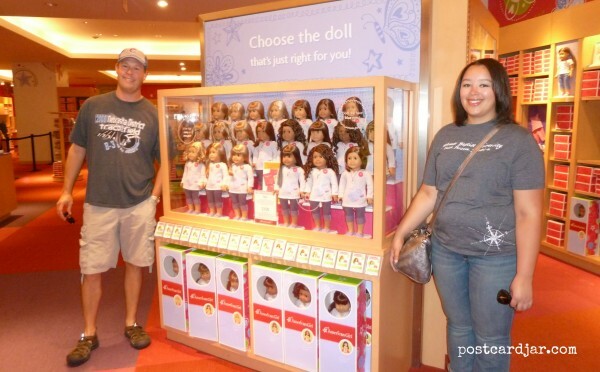 While downtown, I even honored Ann’s request for a very quick stop at the American Girl store on Michigan Avenue, where she and Meghan tried to explain to me why anyone would pay $50 for nightgown for a doll and why mothers and daughters were willing to pay real money to have their dolls’ fake hair styled. I still don’t get it. Notice we’re the only ones in the store. I guess most world leaders weren’t interested in Addy, Kit, Josefina, and the rest. Because the idea of the Sine Die Adventure is to pick activities the person not planning the trip would like, Meghan and I did make reservations at Ann’s favorite restaurant, David Burke’s Primehouse at the James Hotel where she could have her favorite cocktail: The James. [Not-so-secret recipe: 3 parts raspberry vodka, 1 part elderflower liquor, and the juice of half a lime. Serve it up with a lemon-sugar rim and garnish with a frozen raspberry.] We also had an amazing steak dinner with excellent service. If you like a good steak, put this place on your list! We also booked time in a spa for massages for the three of us, visited the Museum of Science and Industry, and left time open in our itinerary so that Ann could pick some activities once we got there. It was her trip, after all. She chose a Chicago-style pizza dinner and a ticket to see Blue Man Group. So before the show, we sat in a small pizzeria eating amazing Chicago-style pizza while watching protesters riot near downtown on TV–an entertaining evening all around. Watching the riots on TV from an empty pizzeria on the other side of town. Thanks, NATO Summit, for this private dinner! 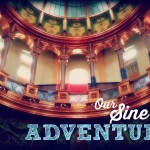 We really enjoyed our first Sine Die adventure. And while we can probably never re-create the timing and location of the NATO summit (and will have to go back to see the museums we missed) we will always remember the experience of having Chicago to ourselves for a long weekend. Well, us and a a few world leaders, that is. Surprise! We're going to ___________ . We do too, Amy. What are you favorite things to do there? Any restaraunt recommendations? What a great experience! Once in a lifetime for Chicago. Thanks, Nancy. We have always loved Chicago, but having the city to ourselves was something special.